The Crucifixion, Giotto di Bondone, 1315, Rimini, Italy. Sermon on the Mount by Cosimo Rosselli, (1481-82). 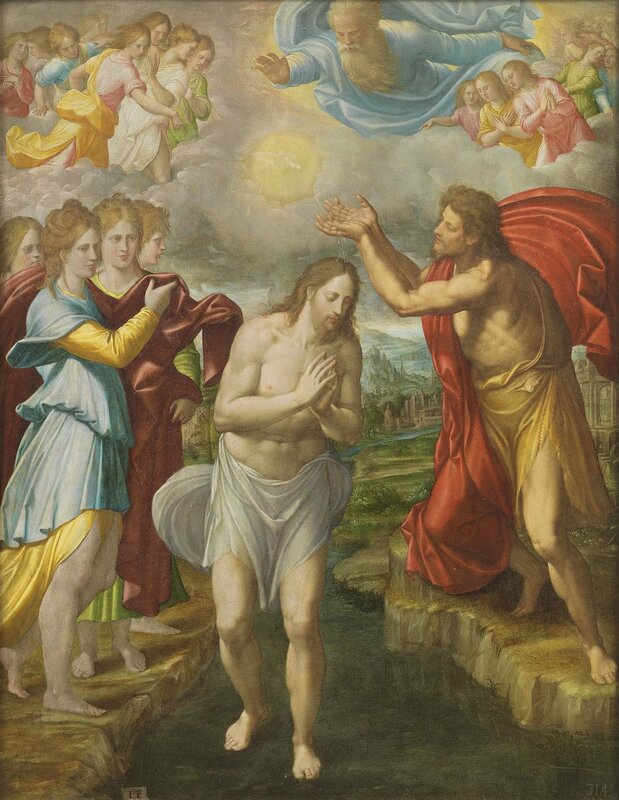 The Miraculous Draught of Fishes, by Raphael, 1515. 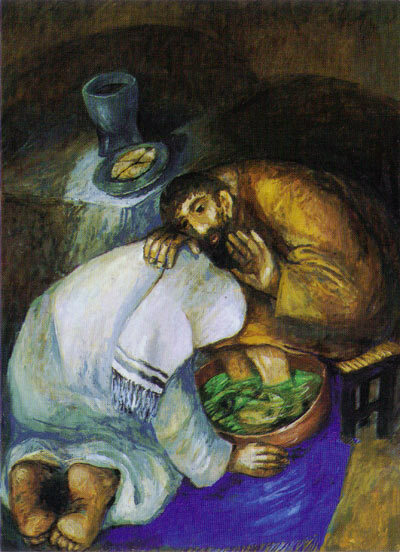 Jesus Eating with Sinners, Sieger Koder, 1998. Bautismo de Cristo, by Juan Fernández de Navarrete, 1567. Nativity ,by Walter Lynn Mosely. Adoration of the Shepherds, by Gerard van Honthorst. The Veil, by Barbara Barnes. Third Sunday of Advent, by Barbara Barnes. Signs of the Second Advent, by Barbara Barnes. Christ in Glory, Shrewsbury, England. Widow, by Konstantin Makovsky, 1865. Christ Healing the Blind Man, Mosaic, Ravenna, Italy. Jesus Washing Feet, Sieger Koder. Christ and the Rich Young Ruler, David Martin, Engraving, 17th century. 15th Century Stained Glass, Glasgow Cathedral. The Hospitality of Abraham, Icon, Adrei Rublev, 15th Century. 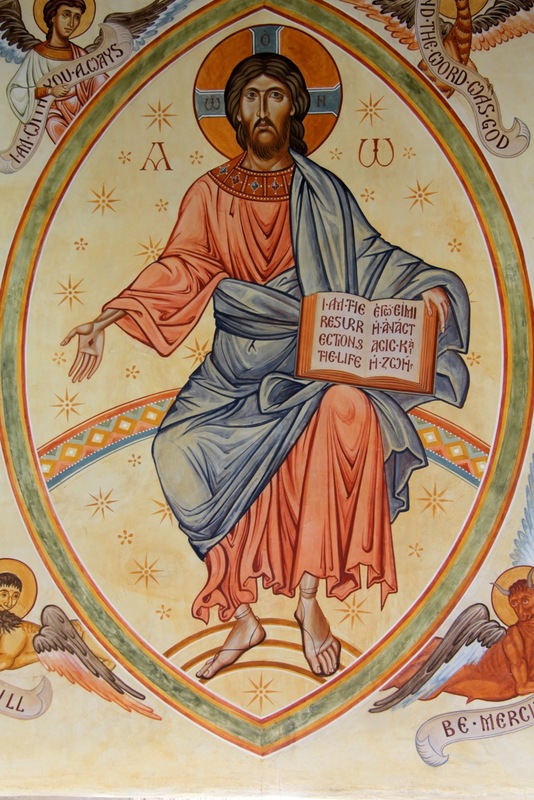 Eighteenth Sunday after Pentecost: Who is the greatest? Syrophonecian Woman and Jesus, Mosaic Church of Sant'Apollinare Nuovo, Ravenna, Italy.